Paul Mori is co-founder, President and Chief Executive Officer of Teikoku Pharma USA (TPU) established in 1997. Mr. Mori brings over 35 years of international pharmaceutical business experience. While at TPU, he has established partnerships with major and mid-sized Pharmaceutical companies — among them Becton Dickinson, Bristol-Myers Squibb, Endo Pharmaceuticals, Grunenthal and Mundi Pharma etc. Prior to joining TPU, Mr. Mori worked for Alpha Therapeutic Corporation in Los Angeles, California as Associate Director of International Regulatory Affairs. While at Alpha he was involved in various product registrations of pharmaceutical/biological products in over 20 countries. Prior to Alpha Therapeutics Corporation, Mr. Mori held was an international operations manager for Green Cross Corporation (now Mitsubishi Tanabe Pharma) in Osaka, Japan. There, he was involved in Fluosol and Soyacal NDA approvals. Mr. Mori also serves as Chairman/Vice Chairman for JPMA-WEST (Japanese pharmaceutical industry association, US West coast region, voluntary organization). Mr. Mori received his bachelor’s degree from Kobe University in 1981. Atsumu Matsushita joined Teikoku Pharma USA (TPU) in 2000 and currently serves as the Exec. VP & CFO. His responsibilities also include general affairs, and acting head of HR, Legal and Purchasing. Prior to joining TPU Mr. Matsushita served as the accounting manager for Teikoku Seiyaku Co., Ltd. (TSC) in Japan. During his tenure at TSC, he held various positions of increased responsibilities, starting as a sales representative and eventually becoming deputy manager of accounting. Mr. Matsushita received his bachelor’s degree in Economics from Kokugakuin University in Tokyo, Japan. Jutaro Shudo joined Teikoku Pharma USA (TPU) in 2000. 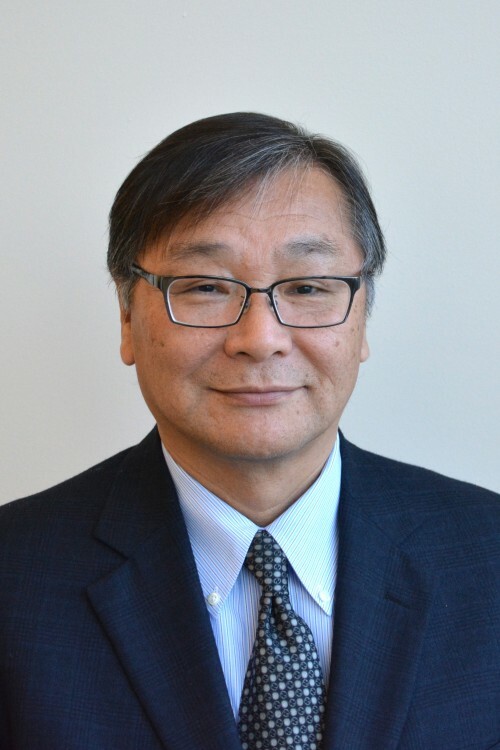 Dr. Shudo currently serves as Senior Vice President & CSO. Before joining TPU, Dr. Shudo worked at Teikoku Seiyaku Co., LTD as a formulation scientist for the drug and cosmetic division. Dr. Shudo has been instrumental in the development of our chemotherapy drug and also headed the development of our Alzheimer drug in collaboration with Eisai. In his 20 year career, he has contributed to not only R&D, but Regulatory and Clinical efforts as well. His expertise also includes scale-up manufacturing. Dr. Shudo received a PhD in Pharmaceutical Science from Chiba University in Japan. Francisco Bejar joined Teikoku Pharma USA in 1999 and currently serves as Vice President of Licensing and Strategic Alliances where he is tasked with leading the corporate strategy, as well as executing in- and-out licensing transactions. During this time Mr. Bejar has held a variety of positions with increasing responsibilities most recently as Sr. Director of Business Development where he has been responsible for a number of significant partnerships including leading M&A transactions. Prior to Teikoku Pharma USA, Mr. Bejar worked for Cell Genesys Biotech and Oread Pharmaceuticals gaining significant drug development experience and contributing to the growth of the companies. He has more than 21 years of experience as a successful executive in the pharmaceutical and biotech field. Mr. Bejar received a bachelor’s degree in Biophysics from La Sierra University in Riverside, CA.